A few days ago I learned that the SETI Allen Telescope Array had been placed into hibernation after vital funding had run out. This has come as a devastating blow to SETI, right on the eve of a plan to scan the planets identified by the Kepler space telescope and listen out for signs of life. Apparently the ATA needs a mere $5 million to remain fucntioning for two years. Writing this, I do find it unbelievable that people with a disgusting amount of wealth cannot come forward with the cash to keep the array running for twenty years, let alone two. There must be a billionnaire out there who can rescue ATA? Even if only the $5 million needed to continue operating for two years is donated. The journey into the unknown is what excites us, as a civilisation. Although we have languished the last twenty or thirty years in our efforts into space (we last went to the moon in 1972) that pioneer spirit is still there, and it is that spirit that is the driving force of SETI’s search of the stars. Click HERE to learn about SETI. Whilst it is very sad news that SETI has hit such a brick wall, it should be noted however that it still has other SETI sites across the world, including its Aracebo observatory – made famous by the film Contact. It’s not an exageration to say that finding evidence of alien life, a so-called smoking gun, if you will, would be the most important discovery of man kind’s history. Such a discovery would surely shape the future of humanity. “It would change everything overnight. SETI wouldn’t have any funding problems anymore. People would be eager to see if there was information in the signal. But even if it was only a cosmic dial tone, with no obviously or instantaneously available information, we’d still learn some very fundamental facts. I think that Jill Tarter hits the nail on the head, when she says that finding a signal would have such a radical impact on modern society. It would shape our future. Possibly it would ensure that we have a vested interest in our future presence in the cosmos, of leaving our stamp. If we detect another civilisation, then surely that knowledge will put a new spin on the age-old questions of Who Are We? Where Do We Come From? Where Are We Going? The latter is surely the most important question to ask. Whilst you need to have understanding of where you are now, and how you got here, the most important question to ask is What Is In Store Tomorrow? Perhaps, if we can continue to search the heavens for the answers to the fundamental questions of our existence, we will know what tomorrow will bring. An ‘alien’ civilisation may last hundreds of thousands of years, stretching to multiple worlds or star systems. Might we one day achieve the same thing? Humanity, surely, is not doomed to die a quiet death one day on Earth. The key to our endurance lies in the clues left by others, on other worlds. Only there will we find the answers to the really important mysteries that determine and define man kind. As Tarter says, there are 500 million possible habitable worlds… is it inconcievable that one of those worlds might have something to say? And what they have to tell us could be game changing. I agree completely. 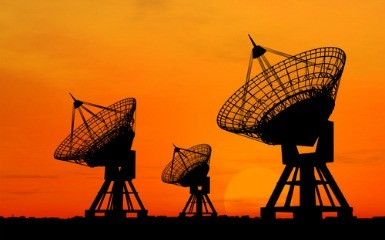 SETI – ATA – should continue, especially if only $5 million. If a government will not provide the money, then a business or individual should. IF a government on Earth is secretly already in contact with intelligent life forms from other worlds, then the government would not likely want to spend money on a program searching for those same aliens. Given that possibility, maybe it is not just one or more governments, but also specific top businesses around the world, which might already have been contacted by those aliens, who might secretly be providing alien technology to those businesses. It might explain the amazing recent advances in technology with a variety of products. After all, who can really believe that it is us poor dumb Earth humans who have invented such things. By the time a new item is in stores it is already obsolete, which is about how fast advances are now taking place. There is other evidence Earth humans have already had contact with such aliens throughout our history. Further, regarding any possible secret communications going on between aliens and governments and/or businesses on Earth, just maybe SETI – ATA – isn’t working because the alien messages and signals are being blocked, jammed, by our governments or by them, so that the world will not yet find out the truth. For actual real-time two-way communications across such vast distances, we Earth humans need to stop thinking in the dark ages. I mean scientists who say what can and cannot be done. If they insist something cannot be done, then who will attempt it to find out if can be done? Where are the true explorers of today, like those of long ago who proved to the “scientists” of their time that the world is not flat? We must be willing to seriously consider with real science, outside of the genre of science fiction, that there is a way to exceed the speed of light, if not directly through normal physical space then by other means – such as hyperspace or wormholes. If a message does get through, by whatever means, then we will at least know we are not alone. I will most enjoy the impact it will have on religion, which is usually the dog bitting the leg of science and holding it back. The present reality is that we live on a greedy world where money is the god many worship. It is also a waring world with people trying to kill each other. There is no government or any kind of organization that can speak for the whole world and represent Earth when communicating with aliens. Look at it from their viewpoint. Earth, planet of anarchy. The smartest thing for them to do is to isolate Earth until its human inhabitance can “grow up” to a level to be useful in the interstellar community and not a threat. Meantime, it would make sense for the aliens to secretly try to help us advance to that level. As a postscript to my previous long comment, I’ll just add this: Maybe they are trying to contact us, and we simply don’t have the advanced technology means yet to be able to receive their messages or signals. Maybe there are aliens somewhere out there shouting “CAN YOU HEAR ME NOW?” like the Verizon commercials on TV. Again, I suppose your point that if we are ‘the planet of anarchy’ that notion would go hand in hand with the idea that we may be so far down the evolutionary ladder from them, that we wouldn’t be able to comprehend a message even if it was received by our equipment. Look at Contact. When they get the signal, at first it appears to be a televised recording of Hitler, bounced back to us. Then when it is really examined, they find 3-dimensional plans tucked away within the message. Obviously the stuff of Hollywood, but my point is that we might not know an alien signal if it smacked us in the face. The reason why I have so much admiration for what SETI does, and why I feel it is so sad that they are finding themselves without the necessary funding to continue their great work, is that 1) I might be wrong, and it might not be as advanced a civilisation as I think, and 2) We may stumble across a readable signal, by accident – perhaps that’s how it’s meant to happen. I nearly for got one other item. Stephen Hawking’s warning that just maybe we should not be trying to contact any aliens out there. It’s the “be careful what you wish for, you might get it” scenario of the worst kind. However, trying to contact them is different from trying to hear or see them to know that they are out there. So it would be to our advantage to find out about them before they find out about us and come here with a great big fly swatter.